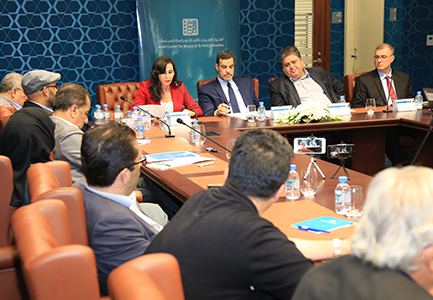 As part of the program studying Democratic Transition in Arab Countries, the Arab center held a seminar on 25 April 2018 discussing Arab intellectual Azmi Bishara's latest book. 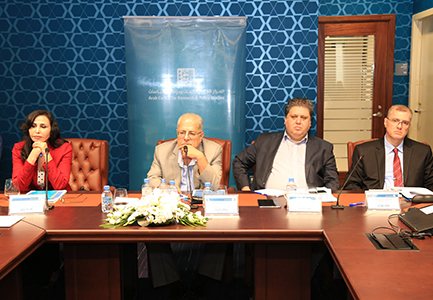 Haider Saeed, Jamal Barout, Hoda Rizk, and Nahar Mohammad Nouri, presented their readings of Sect, Sectarianism and Imagined Sects, with Abdelfattah Madi serving as the chair of the meeting. Haider Saeed began by reviewing the book's return to the very definitions of the sect and sectarianism, outlining their scope and subject. He added that the book departed from the use of Ibn Khaldoun's concept of 'asabiya as an approach to the sect, which defines it as an arrangement of traditional links. According to Bishara, the sect is based on patterns of newly established, rather than old, ties. He also moved away from a primordial understanding of the sect, so that it is understood as social, not a religious, phenomenon. According to Saeed, Bishara, in the main body of the book, peels away the concept of the sect (Taifa) and then sectarianism (Taifiya). Saeed described Bishara's unique clarity when explaining the role of geostrategic factors in manufacturing sectarianism and sects, and references the role of the Ottoman-Safavid conflict in "sectarianizing" the Shia and Sunni sects, explaining the combination of internal and external factors that manufactured a sectarian space that generated sects. These "imagined sects", over different historical periods, sought to cement their outlines, which could be called upon in geostrategic conflicts. Bishara thus goes a step beyond attributing the emergence of sectarianism to internal factors alone, as Burhan Ghalioun has done in his writings, and similarly surpasses looking at the role of geostrategic factors in the emergence of the Safavid Shi'ism, as Wajih Kawtharani has done. 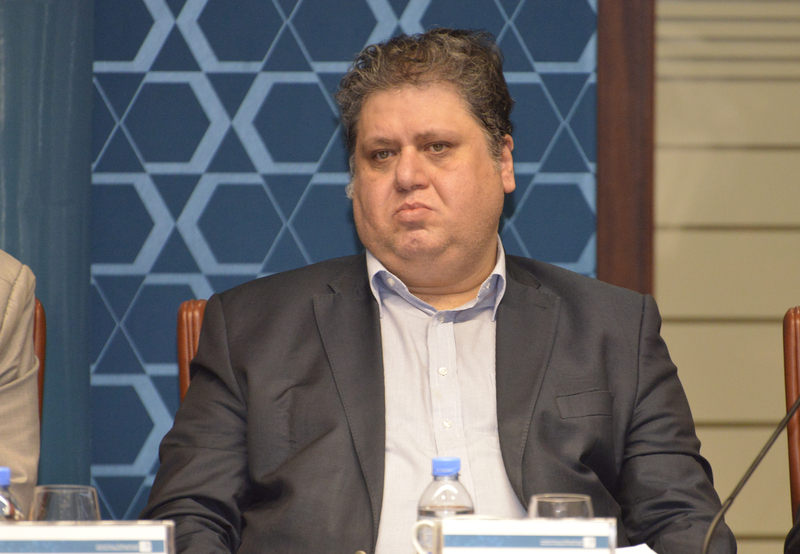 Bishara also goes further than Osama al-Maqdisi, who talks about the role of external factors in stimulating internal mobility, and Nader Hashemi, who has explored the use of geostrategic factors to understand current sectarianism. Nahar Mohammad Nouri began his presentation by placing the book within the foundational Arab works, drawing the methodological determinants for the terms sect, sectarianism, and imagined sects, laying out their meanings and research scope. Nouri explained the intersections of the book with previous Iraqi researchers around the three concepts. These include Fanar Haddad, who studied Sunni Arab political sectarianism, which he found to have emerged after 2003, and Harith Hasan, who described the rule of Iraq during Saddam Hussein's reign as sectarianism. 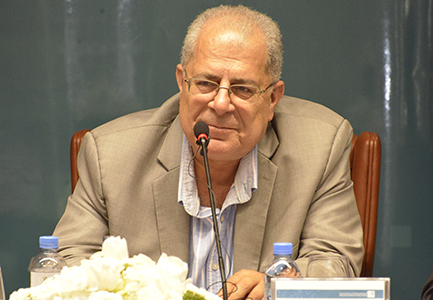 Nouri cited studies that perceive sectarianism as old and socially rooted, in contrast to Bishara's assertion that sectarianism results from secularization and the modern age. 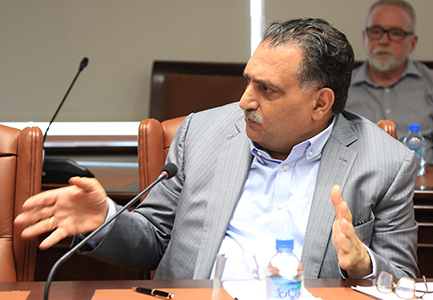 Nuri concluded that, by reading Bishara's book, two forms of sectarianism could be identified in Iraq since 2003. The first can be described as the hidden individual sectarianism, which interacted ambiguously before 2003. The second can be considered party sectarianism, which was more explicit and restrictive post-2003. 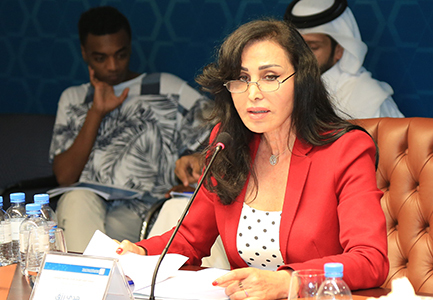 Hoda Rizk began by debating the book's statement that the modern state often arises in a region not representative of an integrated geopolitical unit. Their establishment cut off ties between provinces of the state and the neighboring territories that had once composed a geographical and demographic unit. Historians however debate the balance between the local and international forces that eventually produced the state concerned. 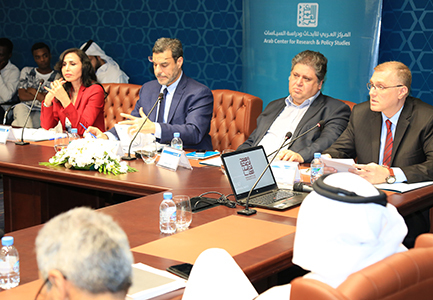 Rizk concludes that the theoretical section of the research sought to argue that sectarianism and political sectarianism represent the re-production of sects as imaginary sects, which then contributes to the fragmentation of the nation state. She agrees with this premise, but further questions how the state can regain its legitimacy. She also concludes that this book contributes to the removal of legitimacy from those political forces bearing these new and imagined identities. But can they be abolished with their regional and international leverage? 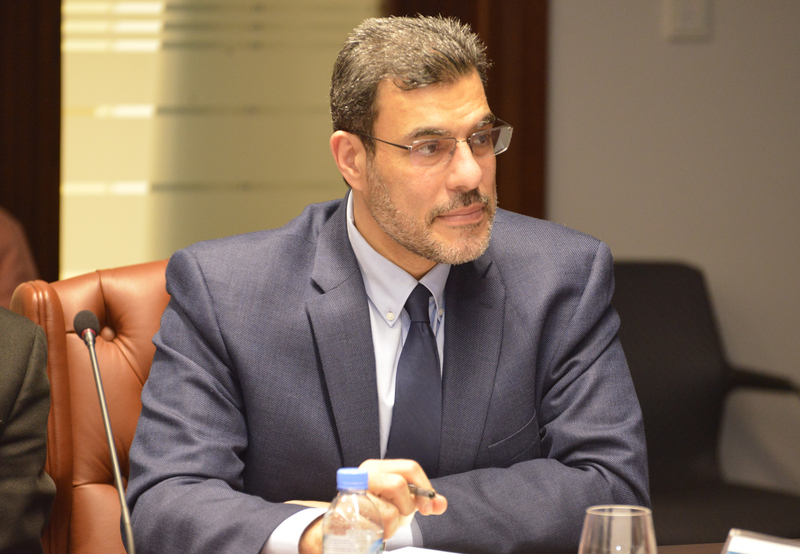 The final speaker, Jamal Barout, emphasized the importance of the book within the Arab historical and sociological canon. 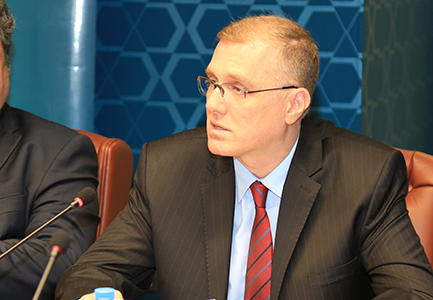 He pointed out that the identity and sectarian conflicts witnessed in the greater Arab Mashreq represent a historical social laboratory through which an integrated theory of sectarianism can be produced. The book takes the "mosaic community" perspective to approach sectarian phenomena, and especially in explaining the failure of the nation-nation model, its modernization, and the production of a modern civil society. Barout believes that this issue has preoccupied Bishara throughout his intellectual career, alluding to publications like the Arab Question, published before the occupation of Iraq, and Civil Society, which touches upon this early interest which deepened throughout the book Religion and Secularism. Barout also draws on distinctions between the madhab (school of Islamic law), the firqa (the sect) and the concepts treated by non-Arab sociologists, especially Henri Lefebvre, Ferdinand Tönnies and even Max Weber. The new theory presents a critical comparison of these concepts, both in Islamic thought and in Western sociology. This comparison helps to build a basis for building an Arab theory of sectarianism based on this distinction. 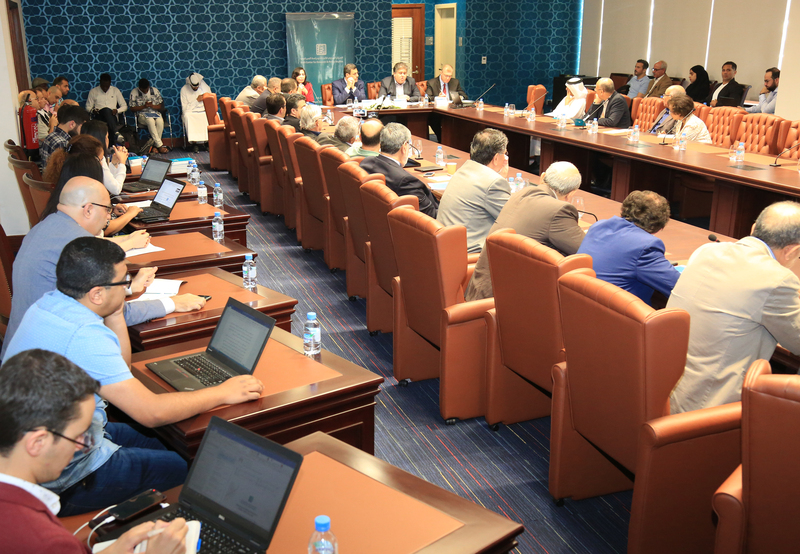 The Seminar was widely attended with active participation from the audience, attracting many broad ranging questions, confirming the overlap between sectarianism and the political and social evolution of the Arab Region.